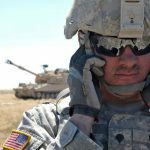 If you are a US military active service member or veteran, you may have heard something about 3M combat earplug lawsuits that are occurring now in Pennsylvania. These have come about because 3M Company, a large American manufacturing company, sold the U.S. military millions of defective combat earplugs. McEldrew Young is accepting new clients who have suffered damages as a result of using this particular type of earplug. Specifically, the earplug type is the dual-ended Combat Arms Earplugs, Version 2 (CAEv2). Primarily, this particular model of earplug caused many service members to experience catastrophic hearing loss as well as deafness. Other suffer tinnitus as a result of wearing the earplugs. Whistleblower allegations against U.S. military contractor 3M resulted in the company’s agreement to pay $9.1 million under the False Claims Act. This resolution occurred in July 2018. The crux of the matter was that 3M failed to reveal what they knew; that the design of their Combat Arms Earplugs were defective. Because of their defective nature, they were a dangerous and substandard product that they sold to the U.S. military between 2003 and 2015. This has resulted in 3M combat earplug lawsuits being filed by current and former military personnel who live in PA. McEldrew Young is here to help these individuals pursue fair compensation from the negligent company. Contact us immediately to find out more. When they are worn with the yellow side inserted in the ear, the plugs are intended to provide the wearer with continuous protection from noise resulting from explosions and weapons fire. However, they still allow the wearer to hear low level sounds such as commands or voices of other soldiers. When they are worn with the olive side inserted in the ear, the plugs are intended to provide the wearer with noise that can be hazardous to their ears’ health. The original manufacturer of the earplugs, Aero Technologies, was eventually acquired by 3M. 3M has since admitted that they knew Aero Technologies was aware of the dangers of these defective earplugs as early as 2000. The nature of the defect is that the earplugs are prone to becoming loose when worn. As a result they do not form a tight seal over the ear canal; this prevents the earplugs from protecting the wearer from noises that can be very harmful to their health. Aero Technologies’ own testing of their product determined that the earplugs did not work and so they rated a noise reduction rating of 0. However, they and 3M labeled and sold the earplugs to the U.S. military with the claim that the noise reduction rating was 22. If you wore Combat Arms Earplugs and have suffered damaged hearing as a result, contact us today. Our lawyers can tell you if you are eligible to join one of the 3M combat earplug lawsuits in PA or to file on your own. Next articleWhat Should I Know About A Settlement with 3M for Hearing Loss Caused by Combat Earplugs?